The 91st Oscars took place in Hollywood, California last month. The Oscars is a time where all of the thespians in the film industry gather to celebrate everyone’s achievements in movies. Actors, directors, animators, and designers were all recognized for their hard work and accomplishments in films. The movies that everyone was talking about were Vice, A Star is Born, Black Panther, Bohemian Rhapsody, Roma, and The Favourite. Green Book, the winner of the night, took home best picture. The night was big for the first time Oscar winners. 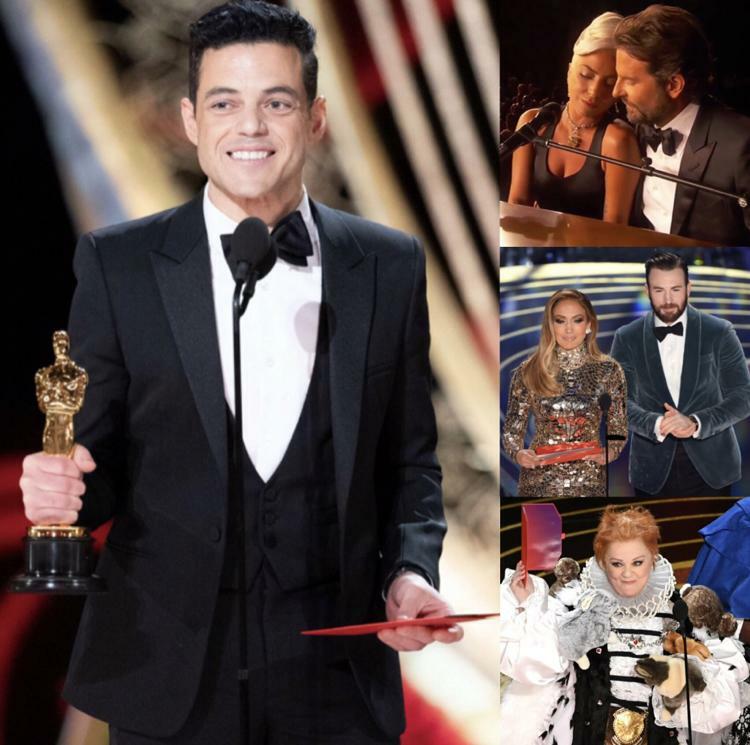 Rami Malek, won his first Oscar for Best Actor in a Leading Role for his role as Freddie Mercury in Bohemian Rhapsody. Olivia Colman won Best Actress in a Leading Role for her role in The Favourite. Alfonso Cuarón, the director of Roma, won two Oscars that night. Others performed songs from the films of this year. The night began with Adam Lambert’s tribute to Queen. Bette Midler performed The Place Where Lost Things Go from Mary Poppins Returns. My favorite performance was Lady Gaga and Bradley Cooper performing their gratifying single, Shallow from A Star is Born. This year the Oscars had not host. Instead, the night progressed with the help of simply presenters and one announcer. The last time that happened was in 1989. Overall, the night ran smoothly, and it gave the celebrity presenters a chance to talk more while on stage and engage the audience. I think that everyone, presenters and performers, did an excellent job. Congratulations to all of the nominees and winners!